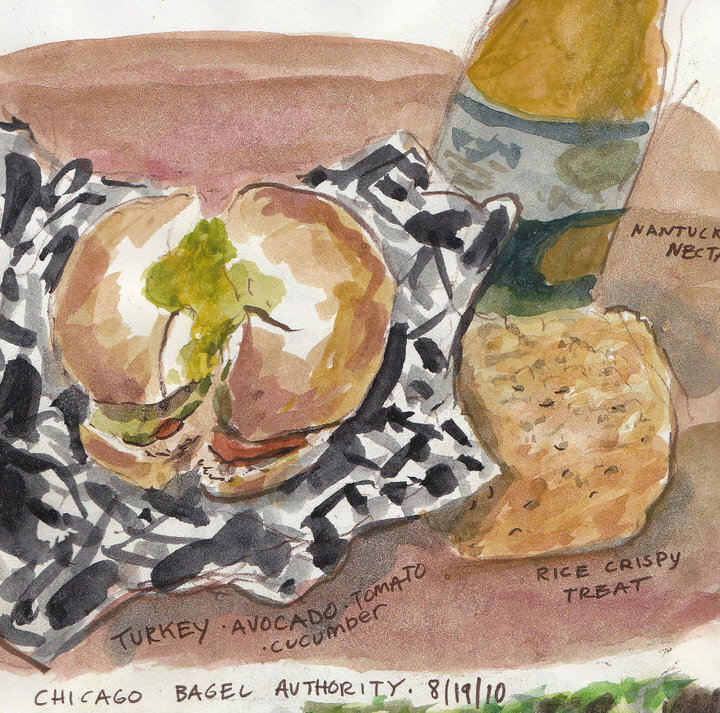 The Chicago Bagel Authority's jurisdiction lies in the heart of Lincoln Park, Chicago. I'll either get the sandwich described above, or a Tob-E-Que (turkey, green bell peppers and BBQ sauce.) Either way, it's always accompanied by a rice crispy treat--a genuine one--not one of those factory made hunks of glue.